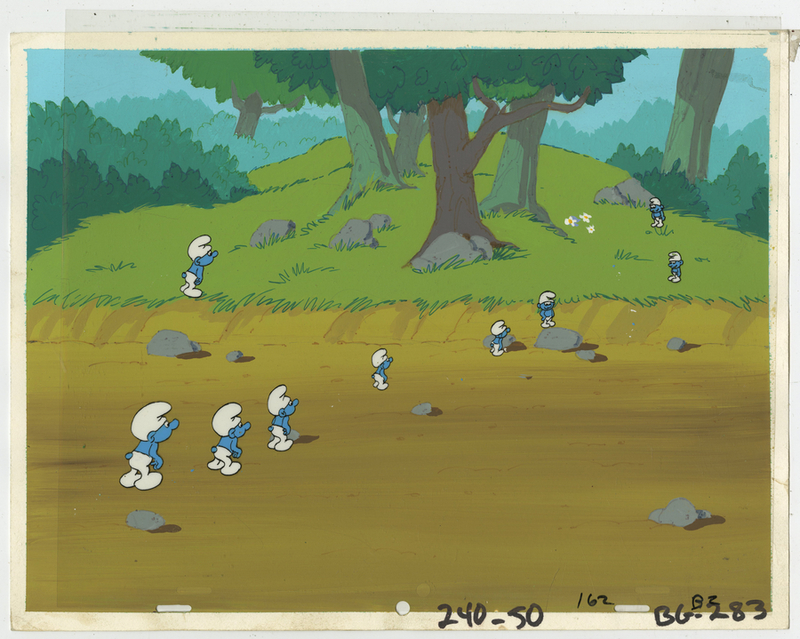 This is an original production cel and background set-up from the Hanna Barbera Studios production of Smurfs (1981-1989). 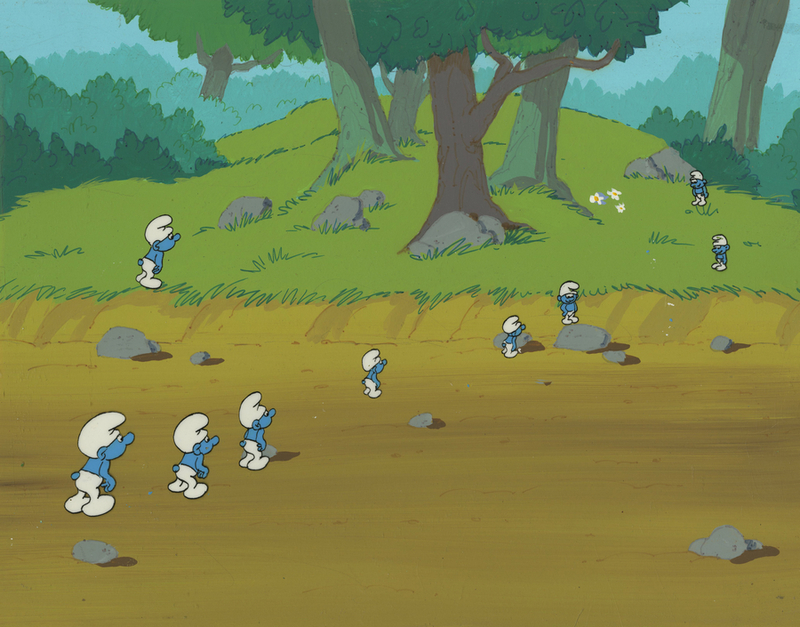 This set-up features a group of Smurfs in the forest. The cel and background were both created at the studio and used during the production episodes in the series, and although they are not matching pieces from one episode, they present very nicely together. The overall measurements of the piece are 11" x 13" and the image itself measures 9" x 12". The set-up is in good condition with a few small spots of paint damage to the cel where the paint stuck to the background.